Who do you play in Pageant Tales and Beauty Fails? : Rhiannon Miss Utah… a goody goody? Describe your character in three words: good, bad, passionate. 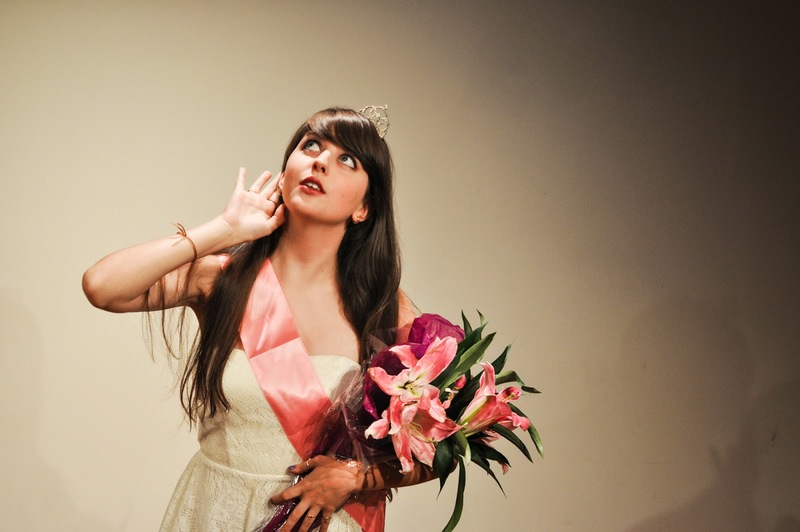 Tell us about Pageant Tales and Beauty Fails: Its a Zany new comedy about an off the wall pageant. Where girls will be girls and boys will be boys. You wont know what to expect! What beauty pageant would you win? : The “beautifully unorganized” pageant.. ? What pageant portion are you most likely to dominate? : One where knitting is a well respected talent. Most likely to commit a beauty fail? : I think all of us could easily do something wrong.. Most likely to be involved in a scandal? : I wana say.. Samantha. But a fabulous scandal. Most likely to have a showmance? : Well nothing has happened yet! I’d say no one! Who's the most offensive? : No one! Best pageant cry? : Well… I’ve been practicing. Sash, bouquet, or tiara? : Tiara. Sash and bouquet cover up the dress..
What is your favorite moment of Pageant Tales and Beauty Fails? : The Pageant!! What is the most rewarding part about being a member of Pageant Tales and Beauty Fails? : The cast and crew is amazing. And it’s hysterical so rehearsals are a blast. Why should we come see Pageant Tales and Beauty Fails? : All of the above.. and why not? Also Rhiannon has some secrets she would love to share with all of you…..